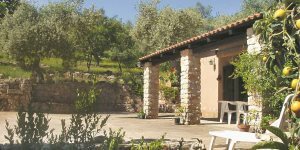 Benefit from our brand-new and exclusive Sardinia villa holiday discount vouchers and enjoy an additional saving of £50pp on your villa package holiday to this stunning island, offering savings of up to £500, or an additional saving of £200 on your accommodation-only villa booking. Looking for a great saving on a summer villa escape? Our villa collection is full of a range of fantastic choices across the island. From superb value for money to the ultimate in luxury, you'll find some superb family holiday villas ready to host you and your loved ones. Just looking for your perfect holiday accommodation? Our tempting £200 discount applies to accommodation-only bookings. £100 discount code is valid on all new package bookings made between 1st - 14th February 2019, for holidays departing between 1st April - 31st October 2019. Discount is per booking, combinable with any discounts already displayed, child discounts and loyalty discounts. From the moment of booking, until the end of our return journey we had a good holiday – and were well served by your company.